The joy of the holiday season was seen on the faces of young and old in the Lincoln Elementary School gymnasium December 13th, 2016. 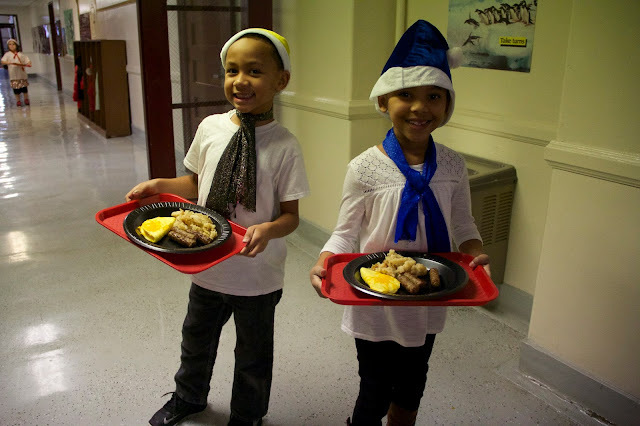 Festively arrayed for the annual Senior Citizen Penpal breakfast, the gymnasium was transformed into a welcoming dining room for the occasion at which 45 senior citizen penpal guests were served delicious breakfasts of cheesy omelettes, hashed brown potatoes, sausage links, apple juice, fruit cups, muffins and coffee by second graders. Principal Stephanie Miller graciously welcomed everyone to the event, the 25th consecutive year it has been held for the senior citizen pen pals at this school. Miller who began as principal of the school in July happily noted how much she was enjoying such Lincoln School traditions. And she was delighted to learn, by a show of hands, how many of the guests had participated in the program, in one way or another, for up to as many as 25 years. As a token of appreciation to the seniors for not only being pen pals, but coming to the event, the children, working with their teachers, made colorful placemats for guests. They were also given ornaments that were made with help from district primary art teacher Dawn Schwind. Erin Lynch's second graders sing "Turn Off That Nose." Erin Lynch’s class sang “Turn Off That Nose,” and danced to “Crazy Frogs Jingle Bells. Michelle Burke’s class sang “Hip Hop Reindeer” and danced to “White Christmas Disco.” Christine Kriwox’s class sang “Santa Claus Is On His Way”and danced to “Holly Jolly Christmas. 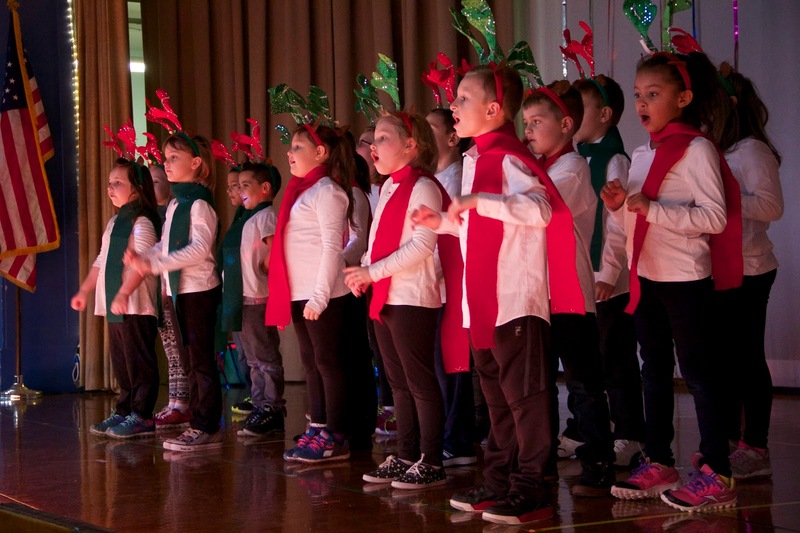 The musical performance was co-directed by Mary Lou Bonnell, a district music teacher and music therapist and Lincoln School and Perkins School physical education teacher Mez Chilcott assisted with the production in various ways including by helping to teach the children their dances. School secretary Sonja Mateo for her efforts in helping to make the event possible. Reading teacher assistant Kim Cooper and Library Media Center teacher assistant Jill Hausman, for creating decorations and the backdrop for the performance. Second grade teachers who give extra time and energy helping children prepare for the performance and help with costumes. Carole Jablonski, head of Lincoln School cafeteria and other cafeteria staffers for preparing the delicious breakfasts for the guests. Head custodian Robert Mosteiro and the other Lincoln custodians for their effort they put into preparing for the event. The Lincoln PTA for purchasing poinsettias for the event. 0 Comments to "Senior Citizen Penpal Breakfast Held at Lincoln School"